Waist belt for men with deer motif. 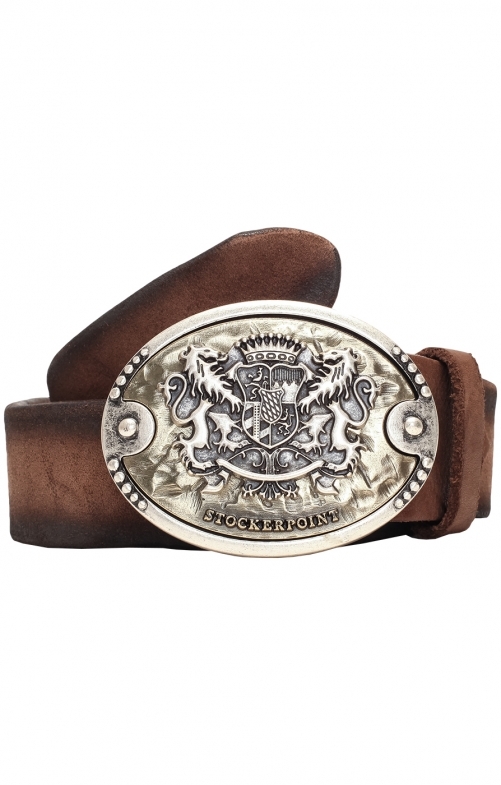 Robust Nappa leather is the material of choice for this traditional GO65 belt by Stockerpoint. Eye-catching details adorn this black belt for men and make it an eye-catcher with any traditional outfit or even in combination with a pair of jeans. In order for this belt to last a lifetime, the upper and lower leathers have been sewn together with particular care. The incorporated metal buckle in silver is also very durable and robust. It is adorned by a shapely stag motif and the special manufacturing process ensures the exquisite shine of the metal. This black belt is an upgrade for every traditional costume.